The Zumba Fitness Convention Starts this week. 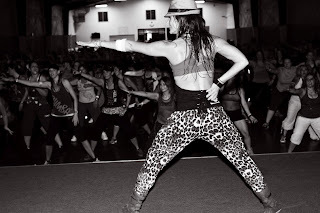 I am so excited to see all of you and to feel the energy from so many crazy Zumba fans! I am currently on a flight to Orlando for some shoots and the Fitness Concert rehearsals. I plan to take some time everyday to post some pictures, and give some insights to what I am doing at convention. Check back soon. Kass, as a fellow instructor, I share your enthusiasm!!! I'm subbing a class this morning I've never taught before and looking forward to the opportunity. So glad you will be taking time out of your busy schedule to keep us updated!!!!!!!!! Kass, I attended the Dancing through the Decades session at Convention and you were AWESOME as always. I've also had the fortune of having you as ZES for ZA. Thanks for the enthusiasm! I took your DTTD and loved it! Your sister is just so cute too! It is awesome that you got to share this adventure with her. I look forward to you visiting us in IL again soon!